My expectations for this movie, based on the title and whole concept, were not great, but I was actually fully surprised. This is a rather good action/sci-fi/western movie! The core plot is simple - as it should be. People gets abducted by aliens and the general public either panics or revolts. 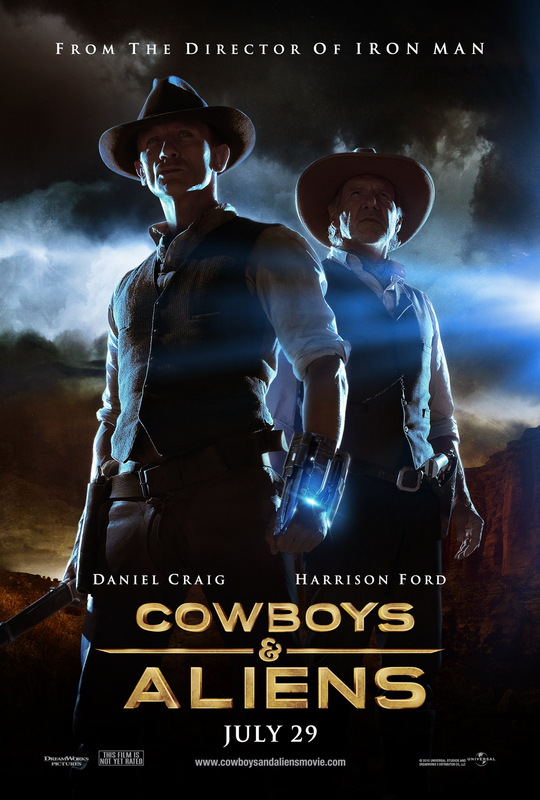 What spices it up a bit is the western twist and also Daniel Craig's connection to these aliens. The plot has a nice flow and is safe but still good. Daniel Craig is a brilliant action actor, and this role he pulls off perfectly. I wonder if it comes natural to him to seem confused and aloof at the same time, as this is becoming a general theme is most of his parts in my opinion. Seeing Harrison Ford again brings back memories from his large number of great performances, as this is yet another great performance. He is truly a good actor. Olivia Wilde is a very pretty woman, and her acting matches. Despite having a somewhat silly part with a lame background history, she does a good job anyway. I will however always refer to her as "13". My opinion of Sam Rockwell is severely damaged by his part in The Green Mile (in which he also did a good job btw.). He scared me and I have never fully gotten over it. The effects are brilliant. The alien fliers are really worth the surround sound experience and the ray-guns and explosions are great. Perfect for an action movie. Watch it with friends on a boys night out - it is really good entertainment.